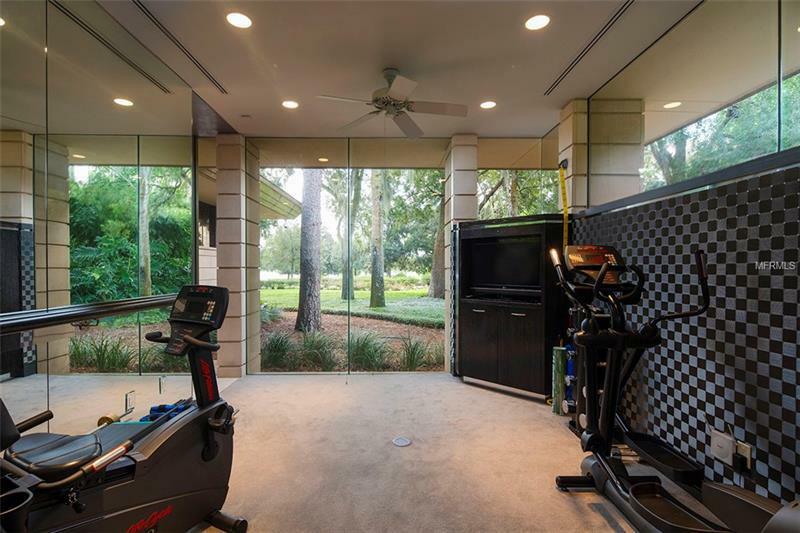 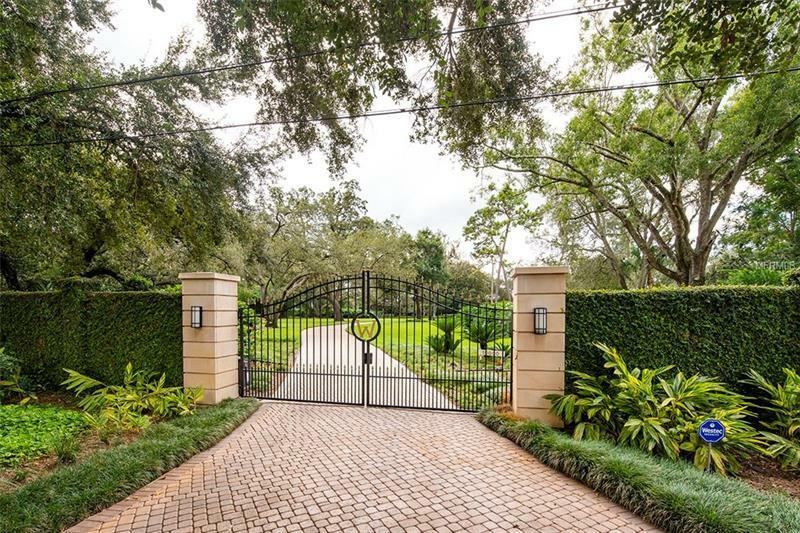 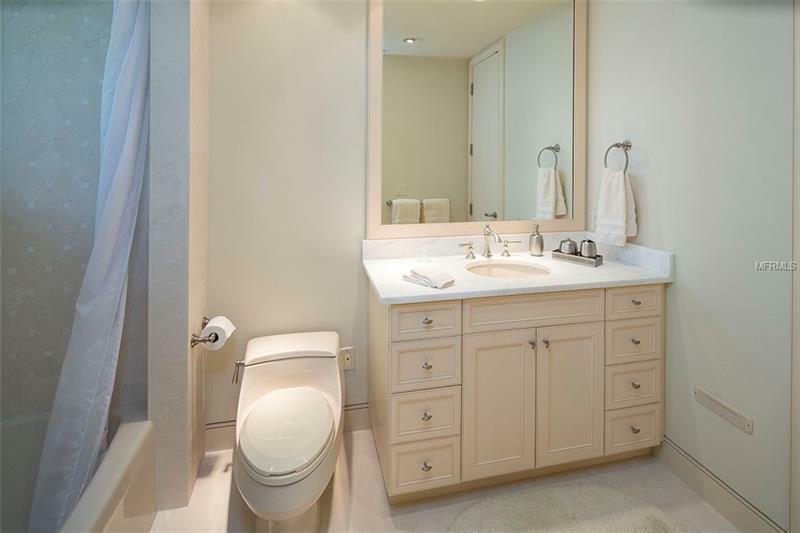 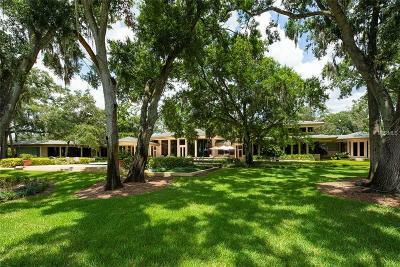 10000 Lindelaan Drive, Tampa, FL.| MLS# T3128154 | Westchase Real Estate - Westchase FL Homes For Sale - Westchase Local Experts. 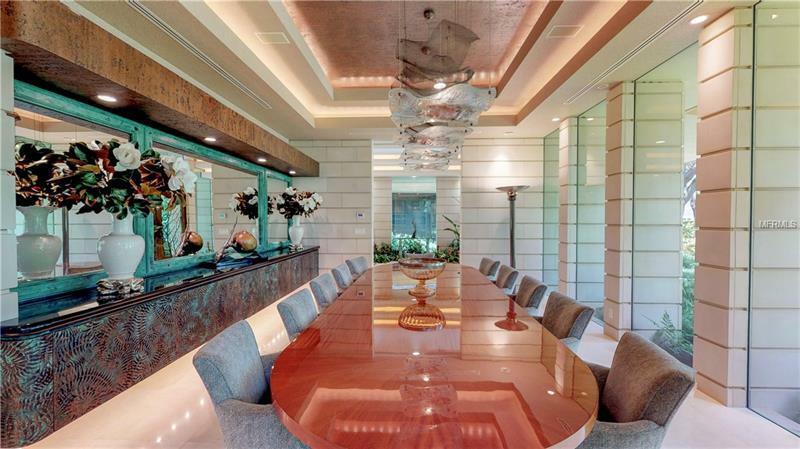 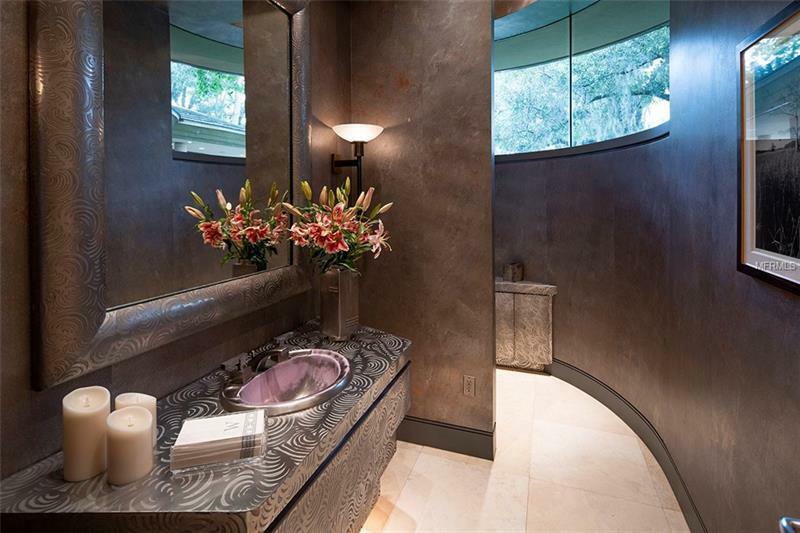 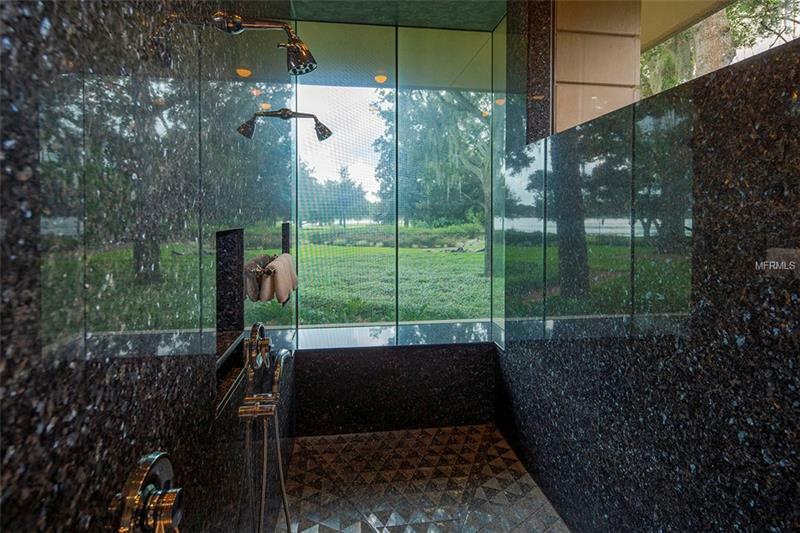 Casa Di Vetro House of Glass is a once in a generation estate available for the first time. 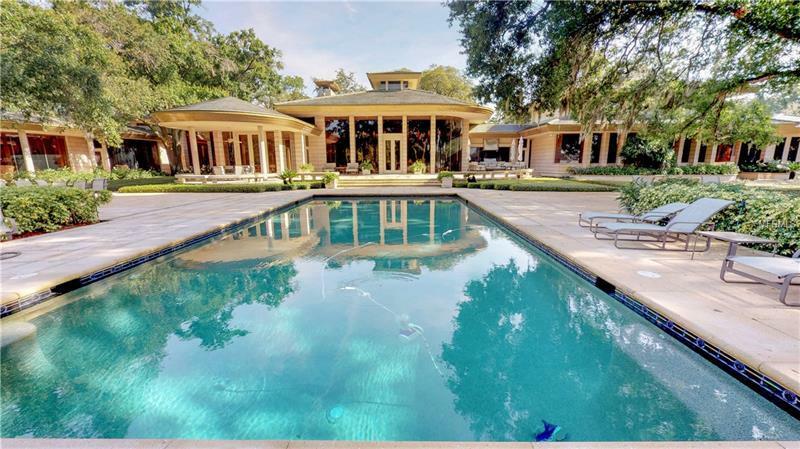 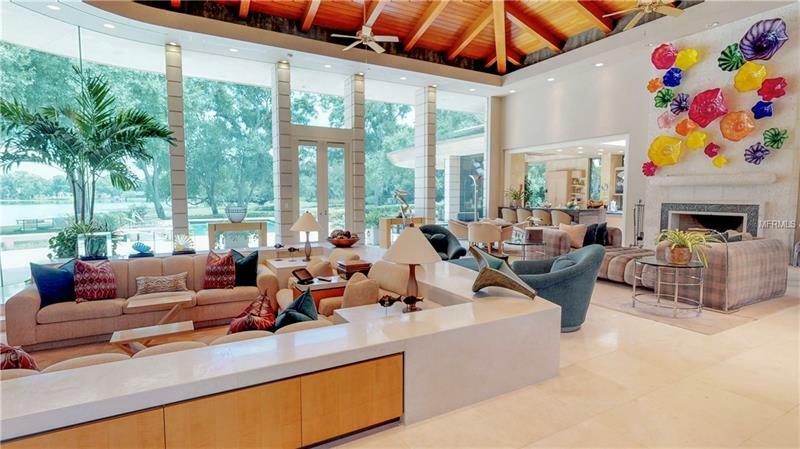 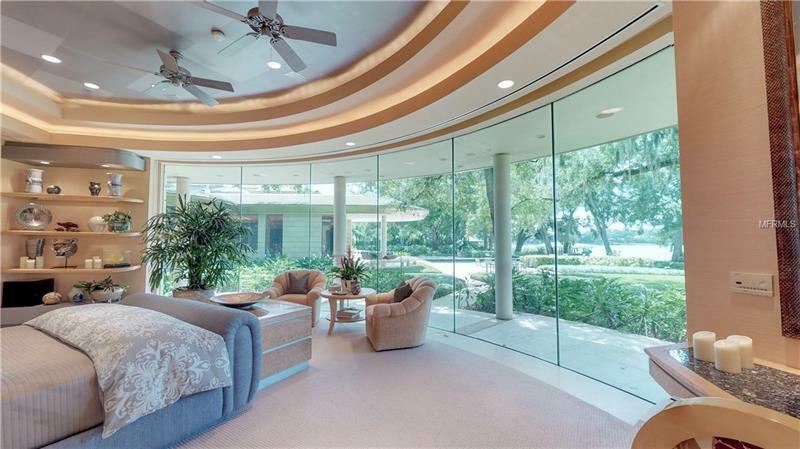 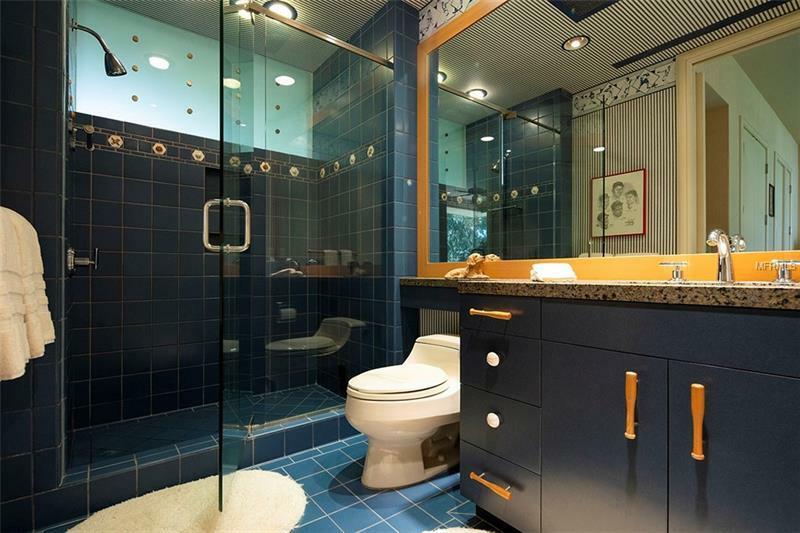 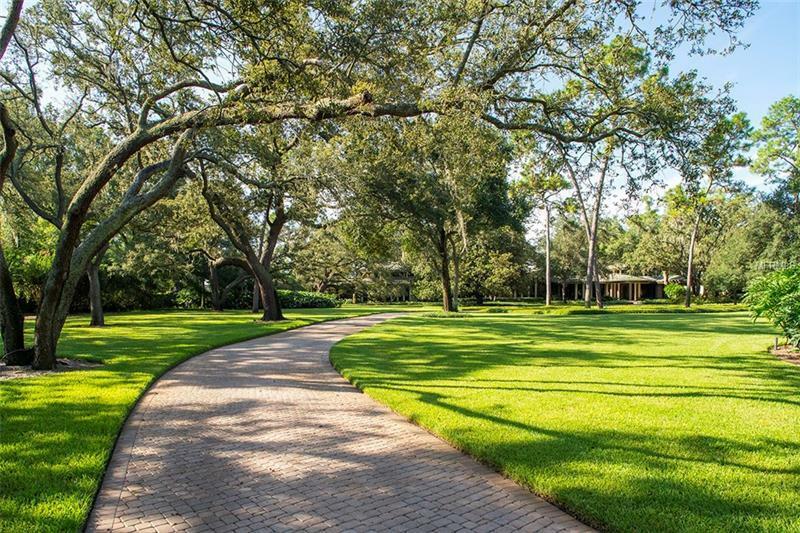 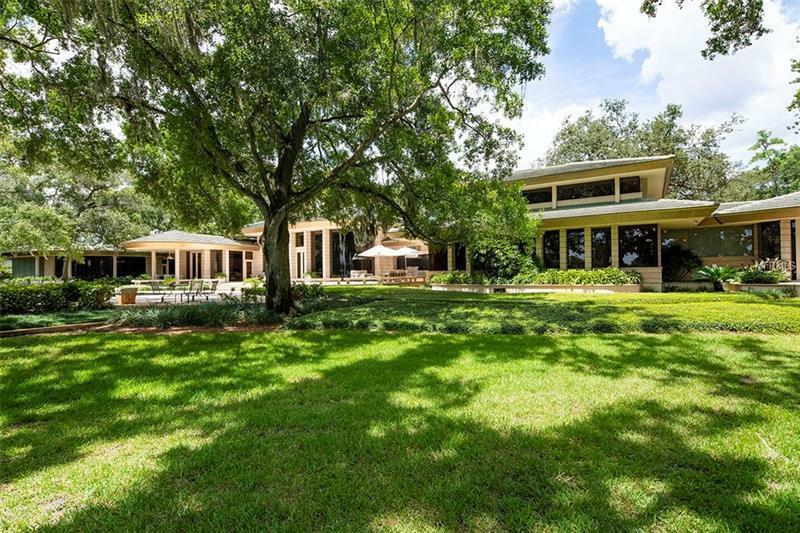 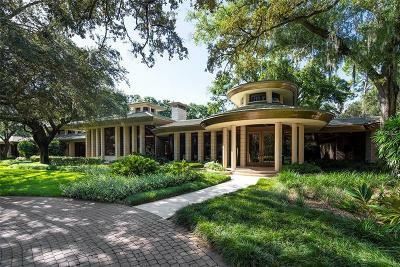 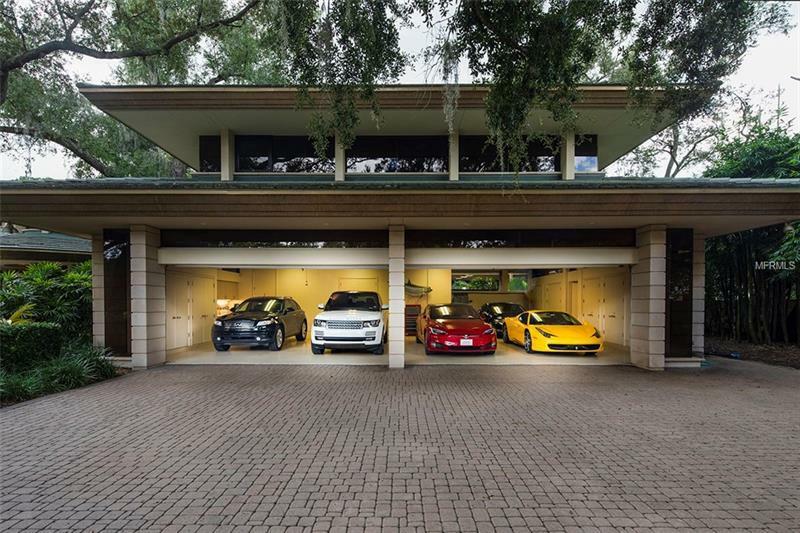 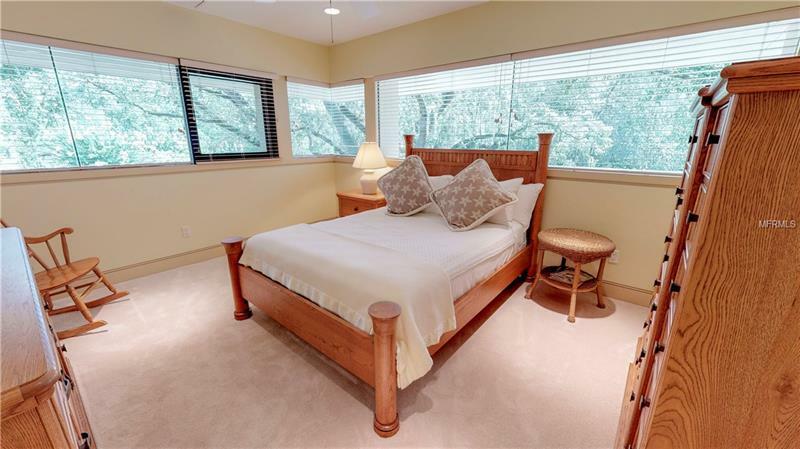 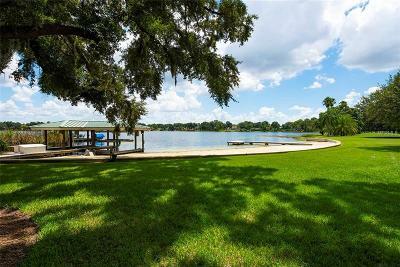 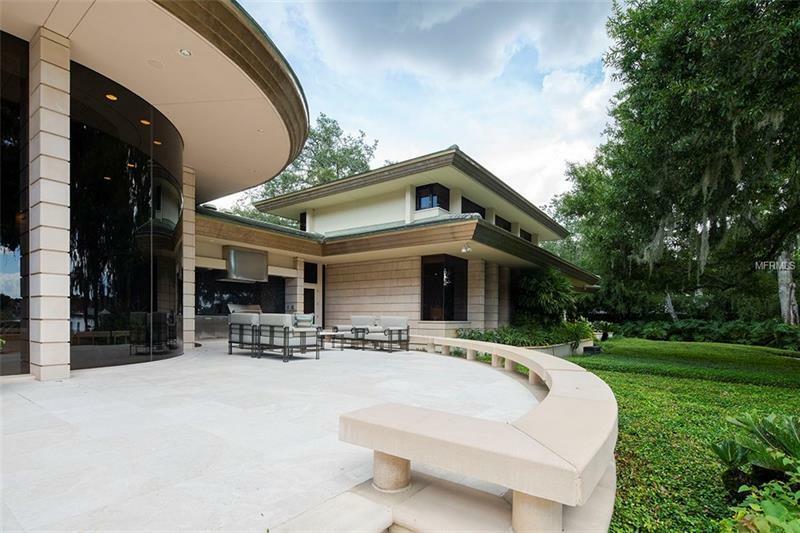 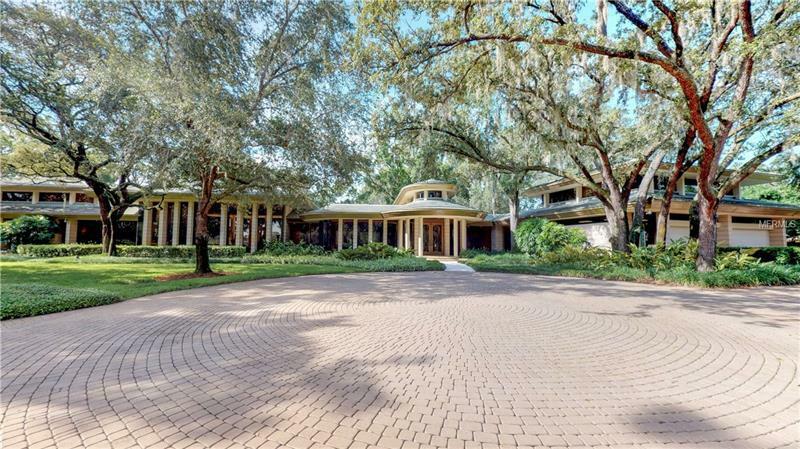 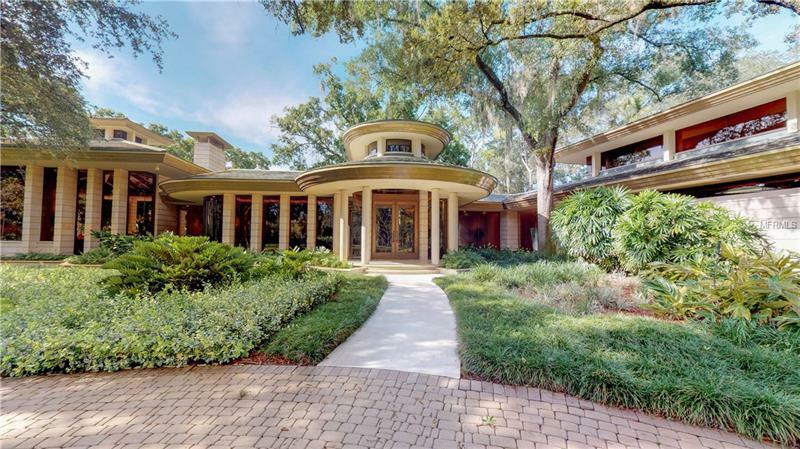 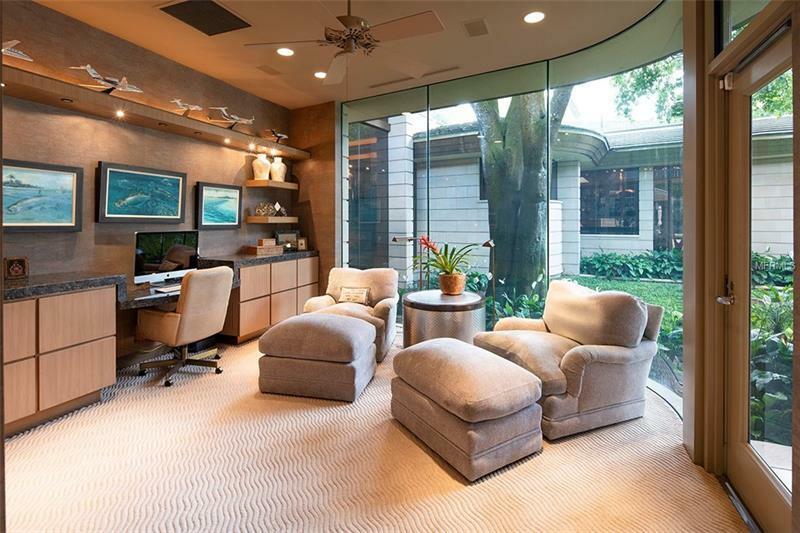 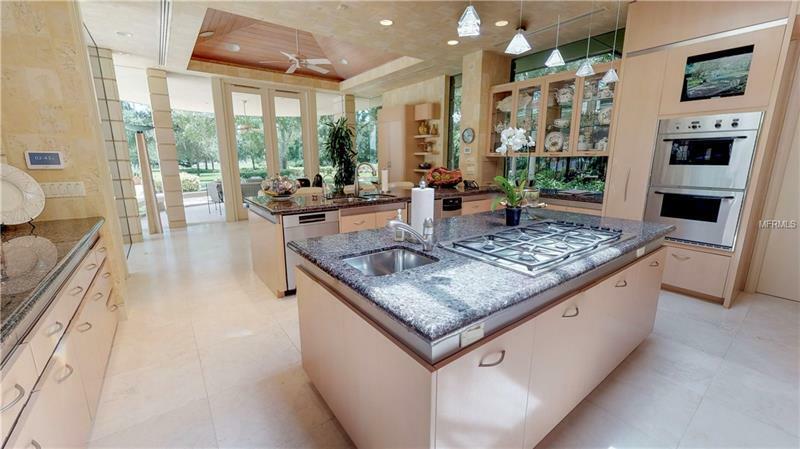 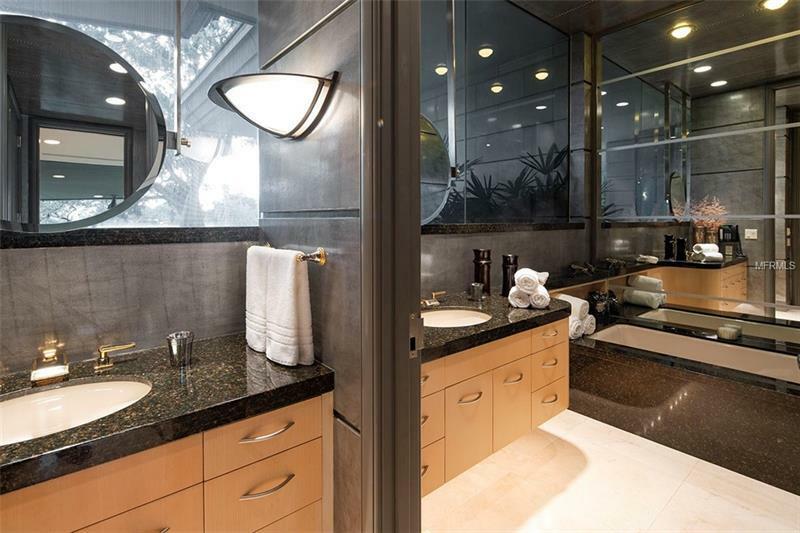 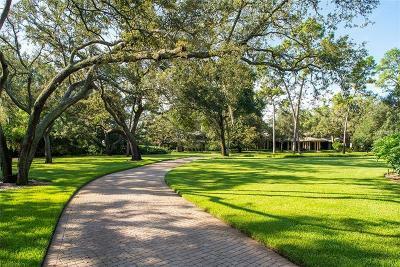 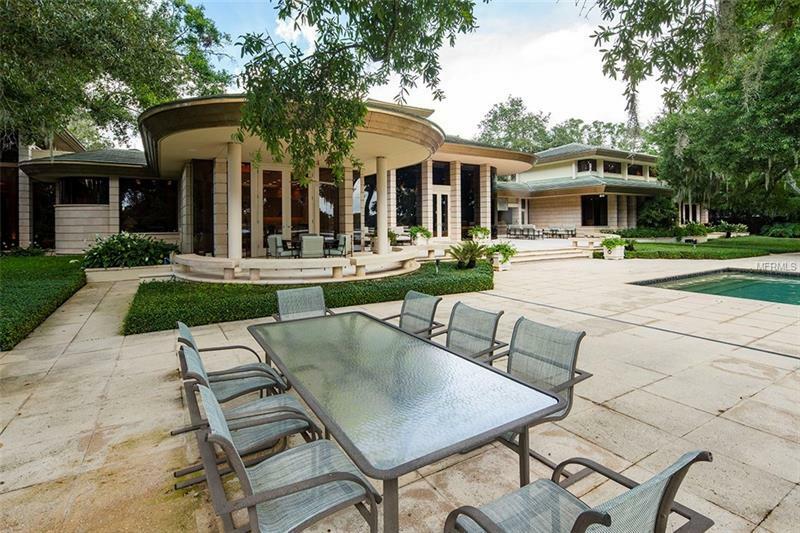 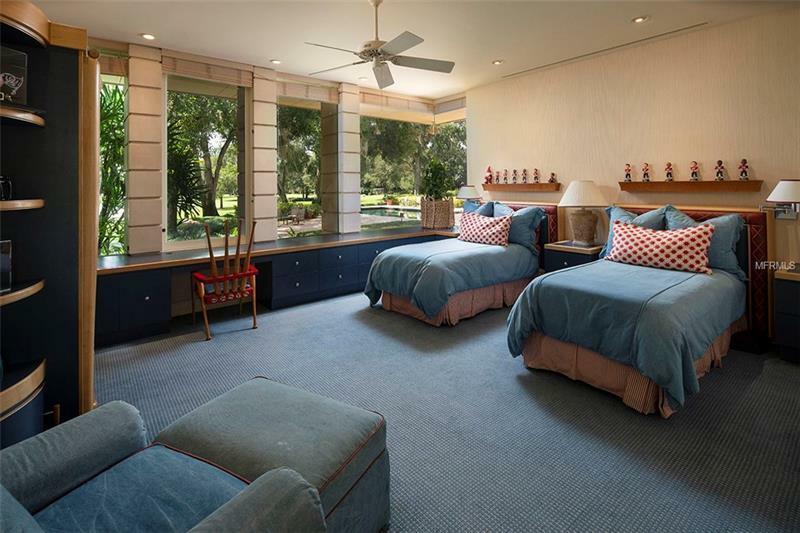 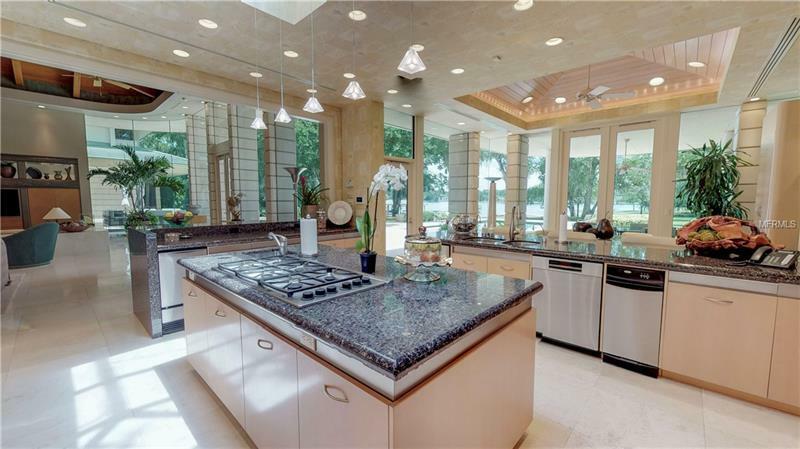 Designed by noted architect Sol Fleischman and built in 1997 among towering oaks on Tampaâs exclusive White Trout Lake this 8.38-acre compound features rolling lawns private beach boat house and private boat ramp. 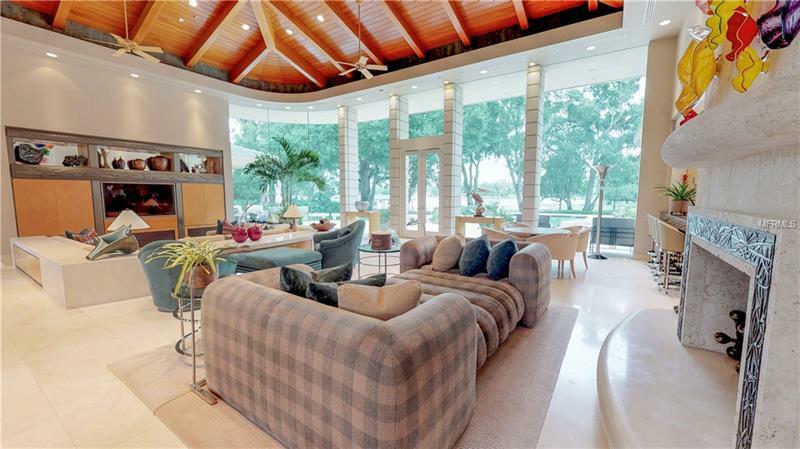 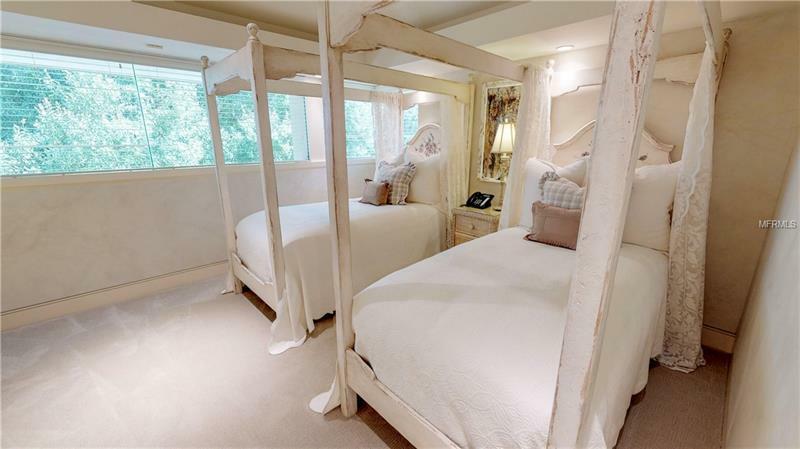 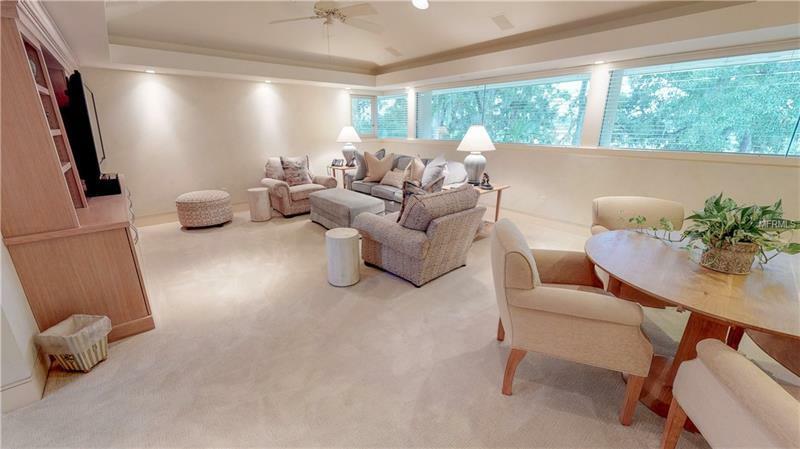 With over 13000 square feet of living area this estate offers six bedrooms including the west wing master suite with its panoramic lake view a second master/guest suite in the east wing a second-floor nanny suite and second floor private apartment along with seven full and two half baths. 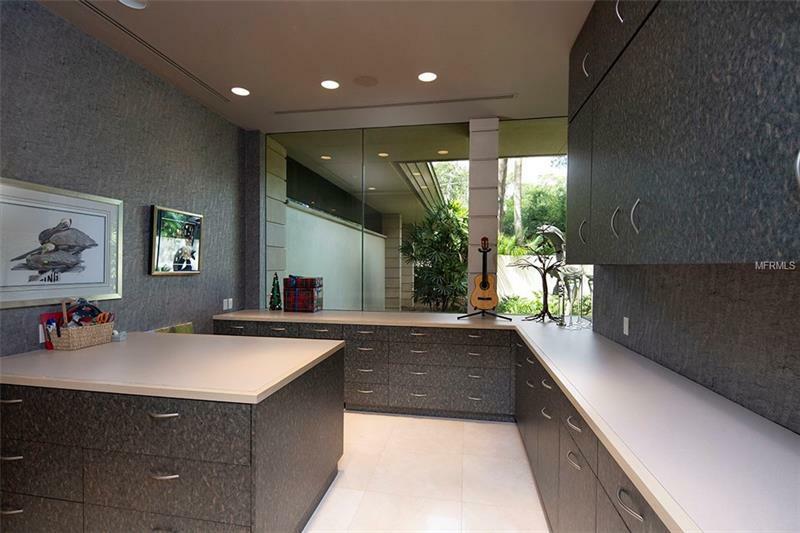 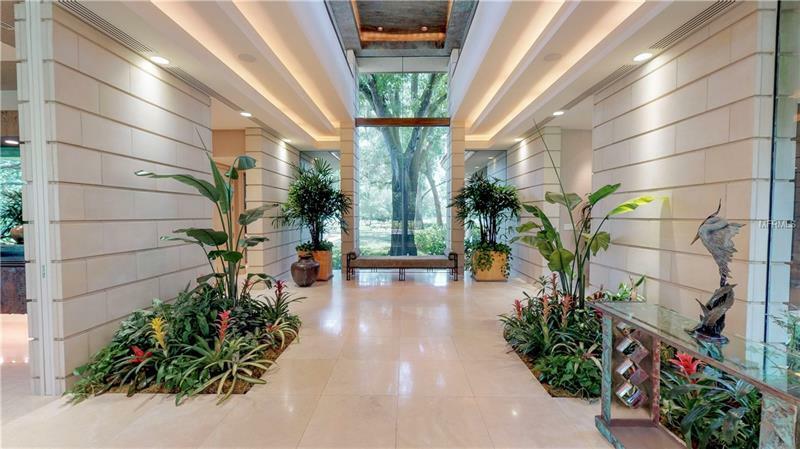 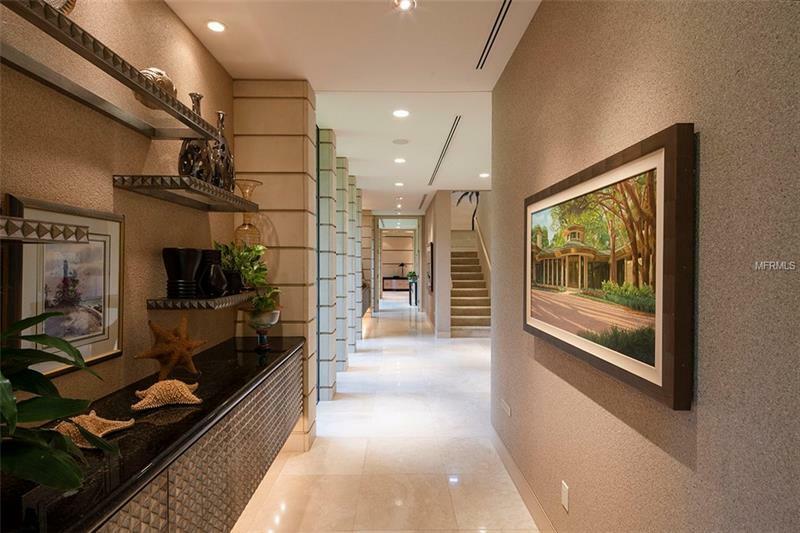 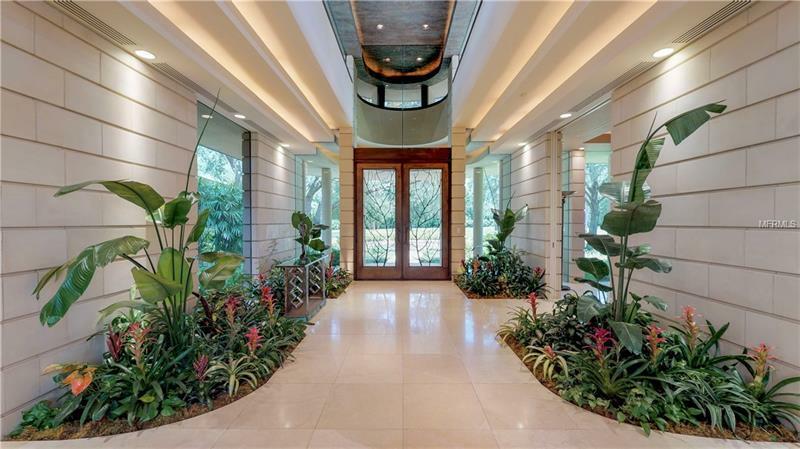 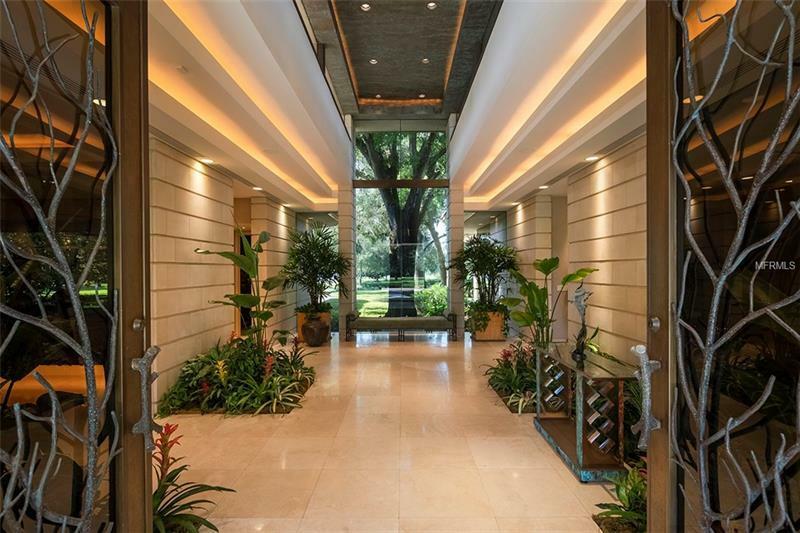 The foyer features soaring 20-foot ceilings over custom glass and steel double doors. 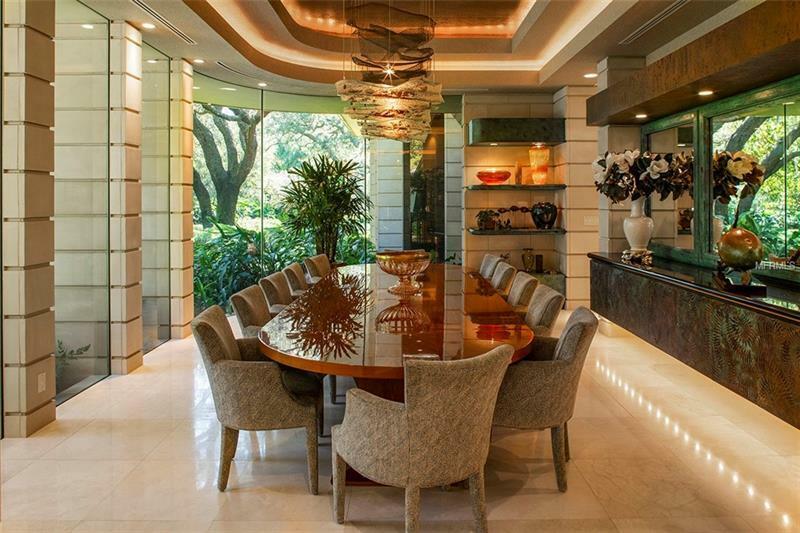 The dining room comfortably seats 12 and features precious metal infused glass lighting sculpture by noted artist Kathy Dahl. 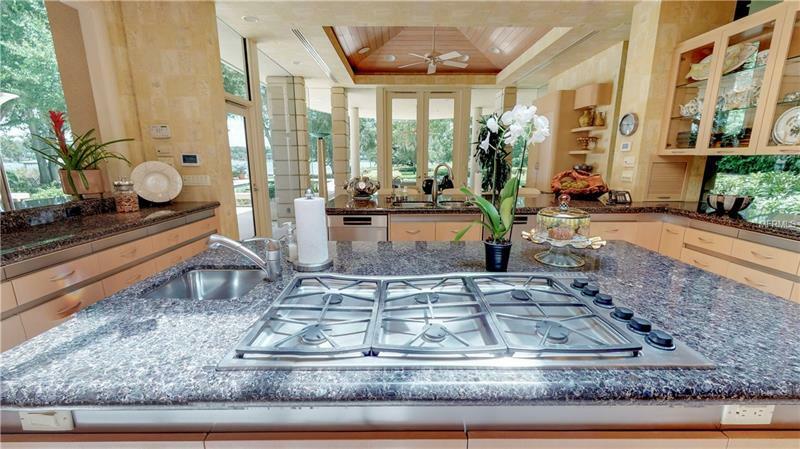 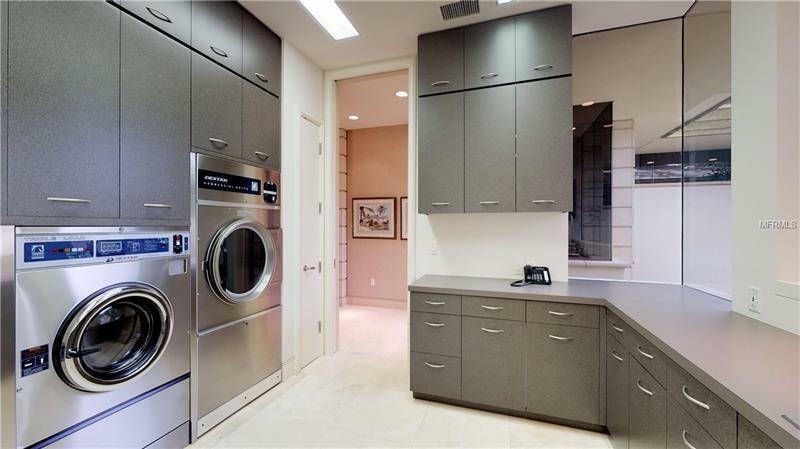 The kitchen comes equipped with a six-burner gas stove built-in microwave oven double Thermador convection ovens twin Bosch super silence dish washers ice maker and over sized side-by-side Sub Zero refrigerator/freezer with abundant storage and butlers pantry. 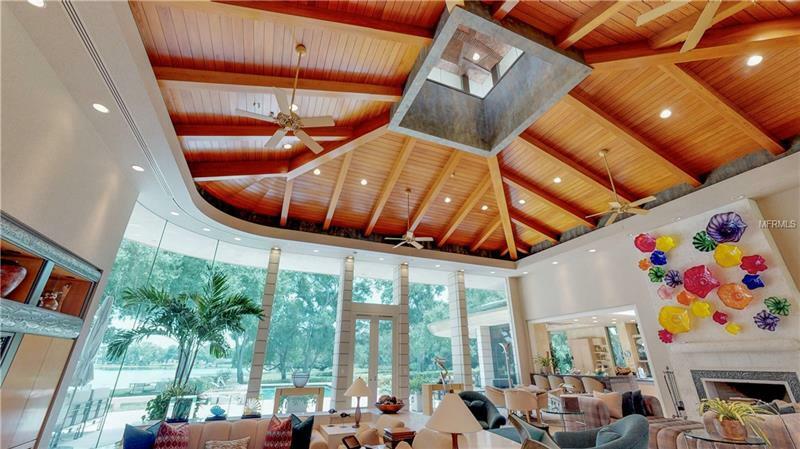 The family room features 15-foot glass walls sunken media area bar and gas fireplace under the glow of the 26-foot exposed beam vaulted ceiling topped with a copper lined sky light. 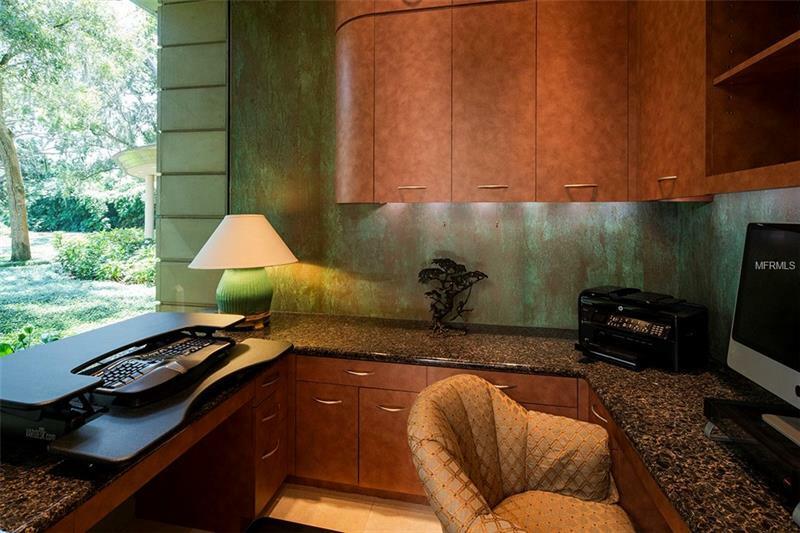 Artistic details include handmade magic metal reliefs built into the Anigre wood media cabinets fireplace and bar. 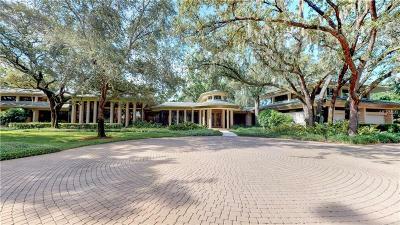 Outdoor features include a pool grilling area and utility building housing two backup generators and unique pottery room with kiln.